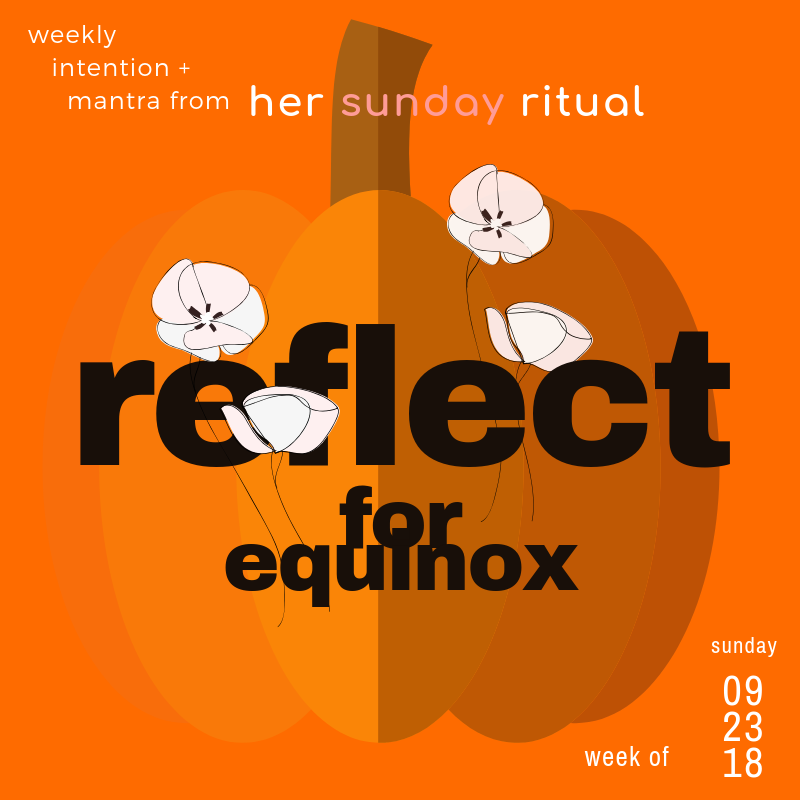 Your Sunday Ritual: Reflect for Fall. It’s fall, y’all! Yesterday kicked off the official start of autumn (for Northern Hemisphere) with Fall Equinox, while the Southern Hemisphere started to move into springtime. Equinox, is when the northern and southern hemispheres are in balance for the same length of day and night. How remarkable is that? Balance on a global scale. A great time to reflect on what needs to be balanced in our lives, what needs to change with the changing seasons. There is so many changes externally as nature moves into hibernation. With the literal harvest season, it's time to harvest our own personal and professional seeds of growth we have been nurturing. What changes are happening in your life, while the leaves start to drop outside? What projects have you be working on? What are you most proud of over the spring and summer months? What can you let go of? Mentally, physically? What feels ‘stuck’ like its going against the grain? What is ‘heavy’ and dragging you down that you can ‘clear’ out? Now is the perfect time pause and reflect inwards on these questions. Ready? YOUR RITUAL: Fall Drink with Reflection with homemade Chai or Pumpkin Spice Tea. Today we will simply be reflecting on our harvests, but with a warming spicy tea. 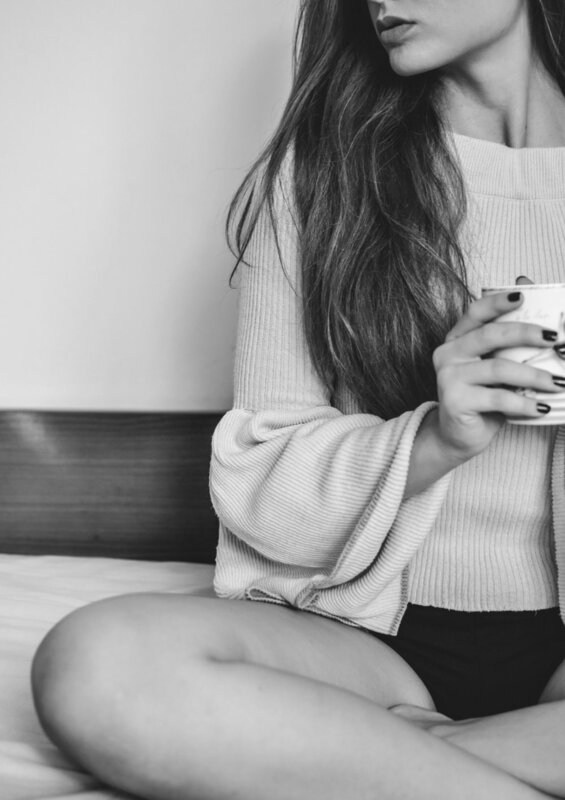 Sip the chai (with or without caffeine added), curl up somewhere cozy at home, turn off all phones, laptops, etc., and reflect on the summer months. Either write it down, or simply sip and run through mentally what you are ready to 'harvest' and what you are ready to let go of. Take all your ingredients and mash them up. If you have a mortar and pestle, smash in there. Or use a coffee grinder/food processor to quickly (on a low setting) grind them up. Enjoy the aromas from it as you make it. In a saucepan, add mix with 2 cups water and let simmer for 10-15 minutes. Strain out through a sieve. This concentrate will be good for 3-4 days. I’ve excluded making with black tea in case you want to skip the caffeine for a cozy evening reflection. Today, warm up as is to drink; add your favorite tea of your choice (simple black tea or green tea); steamed milk or non-dairy milk. Enjoy the warm spiciness as you reflect on your harvests! Her Collectives is all about supporting and inspiring other women's personal or professional path for growth. For this reason, we love to collaborate and feature other like minded women and organizations that can also inspire others. For this reason, we will be having more 'featured' Sunday Rituals coming up (hint, next week we have a great one for you). If you feel like you have something of value to contribute to the her collectives community, please send me an email with your background and thoughts! share with us your ritual! If you share any of your sunday rituals from any weeks, use hashtag #mysundayritual and tag us (her_collectives). We would love to see how you incorporate it and may share/get prizes ;).